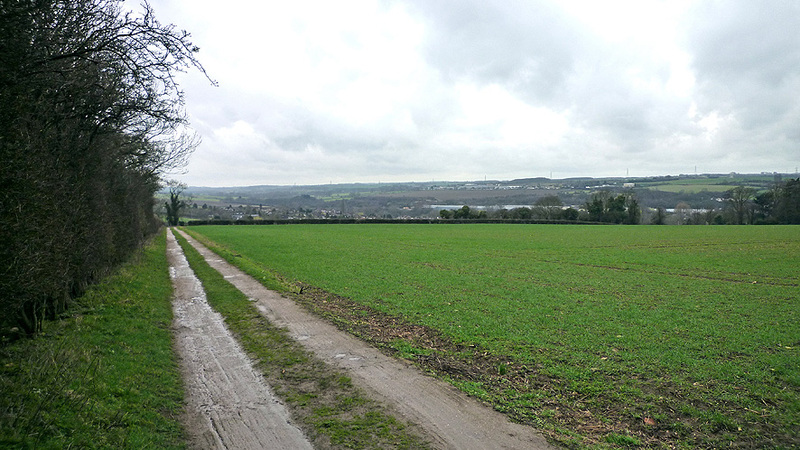 Why buy land for sale in Cold Harbour Lane, Grantham? An opportunity to purchase a parcel of land ideally sized for paddock conversion or amenity use. The land for sale totals approx. 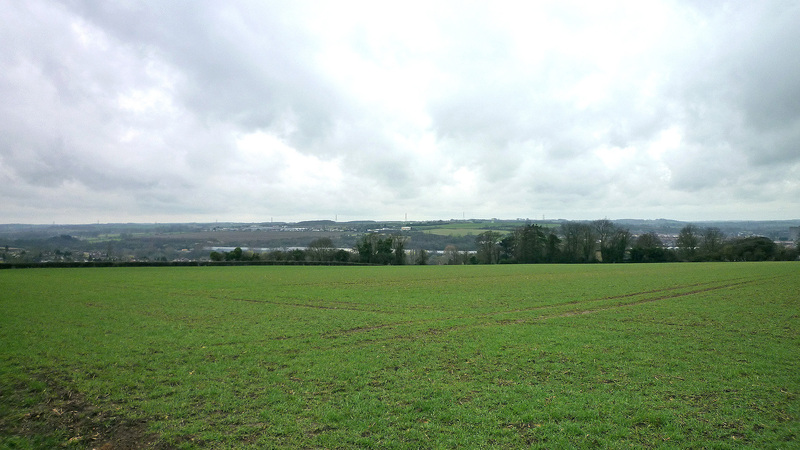 24 acres of productive arable land which could be easily seeded to grass. Predominately flat, all lots benefit from excellent access off Cold Harbour Lane by an established and well used track that also leads up to Beacon Cottage. The sale of these lots also offers buyers a long-term capital investment due to their exceptional location, infrastructure and superb network of transport links; making the site easily accessible from nearby towns and villages. The site lies on the eastern edge of Grantham; a modern town that is highly populated and which serves as a central hub to many of the surrounding picturesque and historical towns and villages. These, together with the larger cities of Nottingham and Peterborough, can be easily reached by rail or road, with Grantham perfectly located on the A1 trunk road that connects the site with London. The local area boasts a strong equestrian influence with many livery yards, riding schools and bridleways close by, providing a variety of facilities for both the horse novice and enthusiast. Access to the lots is via an established track off Cold Harbour Lane which also serves Beacon Cottage. Full vehicular access is granted to all lots (shown blue on the site plan). The land is designated as Open Countryside and any development would be subject to the appropriate planning permission. Despite the Brexit-related uncertainties, the farmland market has proven more resilient than many might have predicted as pasture land prices in the region increased by up to 19% last year. Not looking for land for sale in Cold Harbour Lane, Grantham? Grantham is a market town within the South Kesteven district of Lincolnshire that lies to the south of Lincoln and east of Nottingham. The town has a substantial infrastructure and commuter element to support its large and expanding population. It is home to a wide range of local amenities that are easily accessible from the site including numerous shops, a post office, grammar schools and colleges as well as the Grantham & District Hospital. The district of South Kesteven is the second largest in Lincolnshire. The A1 passes through it as does the East Coast Main Line. Both of these contribute to house prices in the area, which are the highest in the county. This has led to the district as a whole having one of the fastest-growing housing markets in the whole country. Good transport links to Newark, Nottingham, Peterborough and even more increasingly London, attract people to live in Grantham yet work in a larger city. The town’s grammar schools also attract pupils from nearby towns and villages. The city of Nottingham can be quickly and easily reached by road or rail and is the seventh largest urban area in the UK; home to the headquarters of many large and well known companies. Nottingham is progressively changing from an industrial city to one based largely in the service sector. It has one of the highest GDP per capita in the country and in 2007 was fifth in the retail shopping league of England. There are two main shopping centres in Nottingham and numerous smaller shopping areas in development. These new developments will increase the shopping sales area by 28%. Tourism is becoming an increasingly significant part of the area’s economy with many visitors attracted by its nightlife, shops and history. This has led to Nottingham being touted by DK Travel as one of the Top 10 cities in the world to visit. Nearby Peterborough has expanded greatly to help house London’s overspill. It continues to see significant growth and a £1 billion redevelopment of the city centre and surrounding areas is underway. The city is currently experiencing an economic boom compared to the rest of the UK, believed in part to be due to this regeneration plan. Grantham is surrounded by superb transport links. The nearby A52 connects the site with Nottingham, whilst the A607 leads to Leicester. The A1 links the site with London and Edinburgh and several towns and cities in-between. Grantham train station is just a short walk from the site and offers direct trains to many nearby towns and to London in just over an hour. Lincolnshire is known for its rich Equestrian heritage which still remains one of the best destinations in the country for equestrian activities thanks to the gentle terrain, the extensive network of bridleways and the many traffic free country lanes. Grantham is centrally located in Lincolnshire, surrounded my many rural towns and villages providing ample space for equestrian activities. The local area is home to many equestrian centres, riding schools and livery yards each unique in providing excellent facilities and services for the horses and riders, the majority of which surround the town of Grantham. The nearest equestrian centres to the land for sale are situated in Caythorpe and Hough-on-the-Hill both accessible within a short distance. They boast locations within the picturesque countryside and provide facilities to meet the needs of any horse enthusiast, along with the focus of providing a variety of riding opportunities for novice riders. The Paddocks Riding Centre in Hough-on-the-Hill is a small yard, helping riders develop at a pace that suits their individual needs. A larger range of facilities are available at Elms Farm Equestrian Centre in Caythorpe include stables, a 70m x 50m competition arena, warm-up arena, a large outdoor arena and an additional indoor arena which all host numerous competitions throughout the year. Arena UK situated in Allington, to the north-west of Grantham, is home to a large showground that hosts regular prestigious championships each year, including show jumping and dressage events. This can be reached within 4.2 miles from the land and provides all the facilities that a horse lover would require. To accompany these excellent local facilities, Lincolnshire and the area around Grantham are home to a number of extensive bridleways, the longest of which is over 100 miles. The closest bridleway to the land is situated just outside Barkston, which offers beautiful scenery along the River Witham. To arrange a site visit or to buy the land for sale in Cold Harbour Lane, Grantham; please call 01727 701330 or email enquiries@vantageland.co.uk.